With Outlook 2010 and new technology in Exchange Server 2010, voice messages are automatically transcribed. A voice-to-text preview of a recorded voice message is sent along with the voice mail recording directly to your inbox. Access them from almost anywhere using your computer, Microsoft Outlook Mobile, or Microsoft Outlook Web App. Business Contact Manager* provides powerful customer and contact management to improve the effectiveness of your sales, marketing, and customer service efforts. 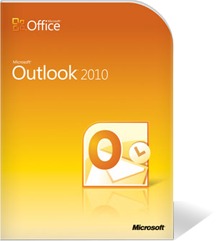 With a new interface, new project management and marketing tools, and powerful customization, Business Contact Manager for Outlook 2010 lets you manage all of your organization’s customer information within Outlook, the application you already use for e-mail and calendaring.